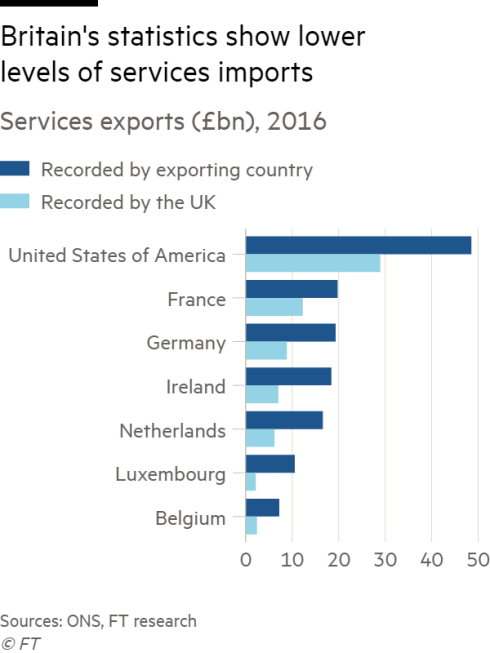 #BrexitConcerns from the ONS about a worrying disparity in our trade statistics. 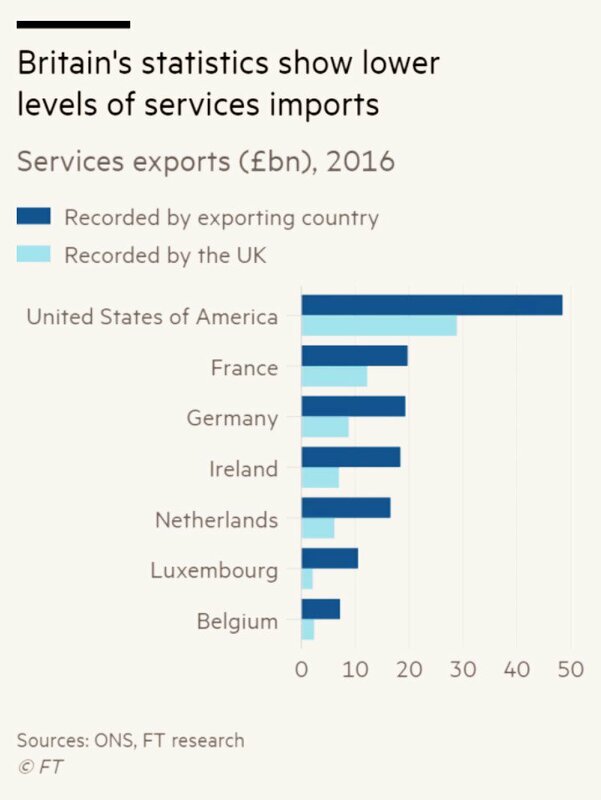 "in 2016, Britain recorded imports of services from seven countries of £68bn: but those countries registered total exports to the UK of £140bn"
Seems there is even more at stake than we realised. Brexit is a bad decision. I haven't a clue why the colours on that pic are inverted. Big #BrexitConcerns about the 5 serious potential threats to the availability and affordability of food in the United Kingdom after Brexit. "A new report from the House of Commons Environment, Food & Rural Affairs Committee indicates that food prices, trade & jobs, and food flows across borders -especially in Ireland- look set to be altered and, at worst disrupted, with potentially important implications for health"